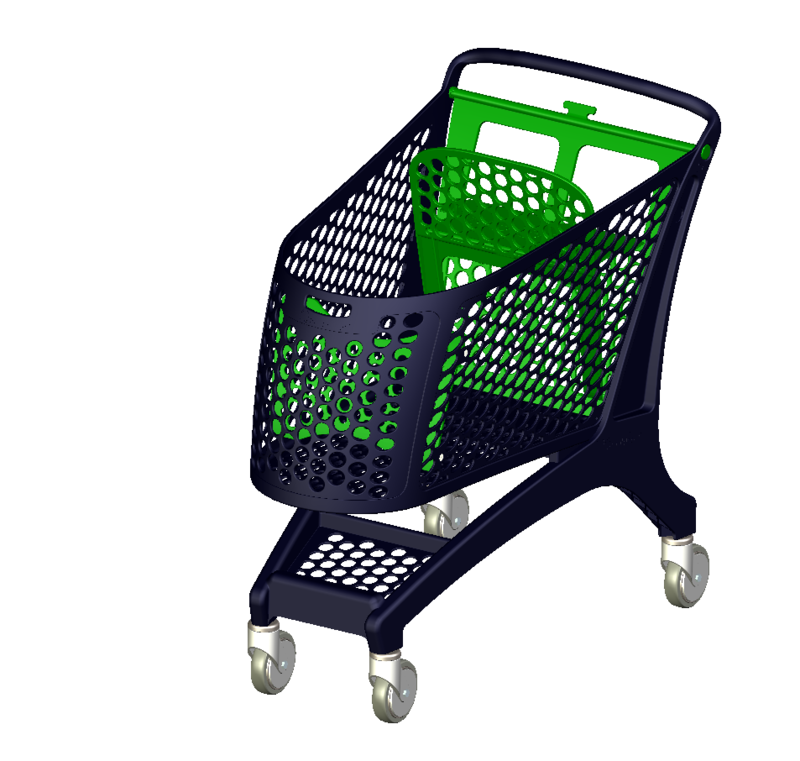 Made from recylced plastic Markitcarts provide many benefits for shoppers and retailers. 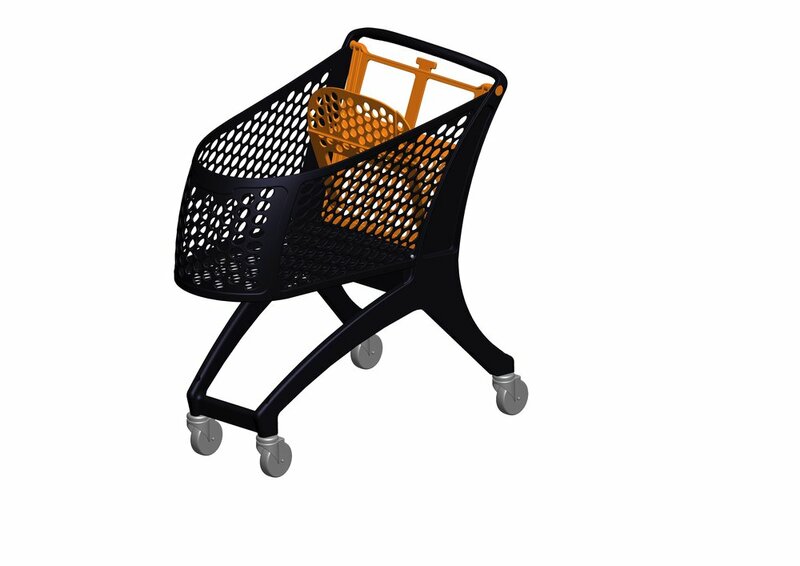 Shopping carts are the very first and last touch point retailers have with shoppers. This critical "touch point" should excite and leave lasting good impressions, Markitcarts do this - even exciting shoppers enough to talk about them as a beneficial point of difference - Mark Fraser, multi-award wining architect, designer and global owner of MarkitCarts. To ensure strength, durabilty and minimal maintenace Markitcarts comprise only 2 main parts each injection molded as one single piece. Basket Capacity : : 190 Litres, or 11,600 cu. in. Stacking Distance : : 210 mm, or 8 in. Wheels : : 125 mm diameter, or 5 in. Weight : : 13.8 kg, or 29 lbs. 2. Wheels, type and brands as requested including Tente. 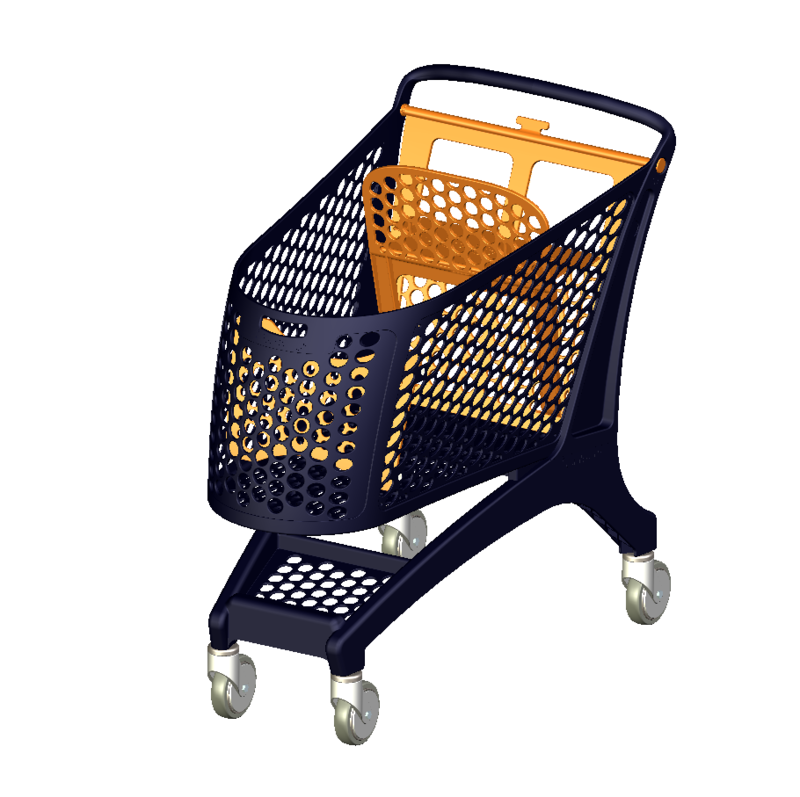 Markitcart Brand wheels are shown above. 4. Can be coloured to suit retailer or advertiser C.I.